6×6 watercolor of some sheep hanging out between Leesburg and Luckets. 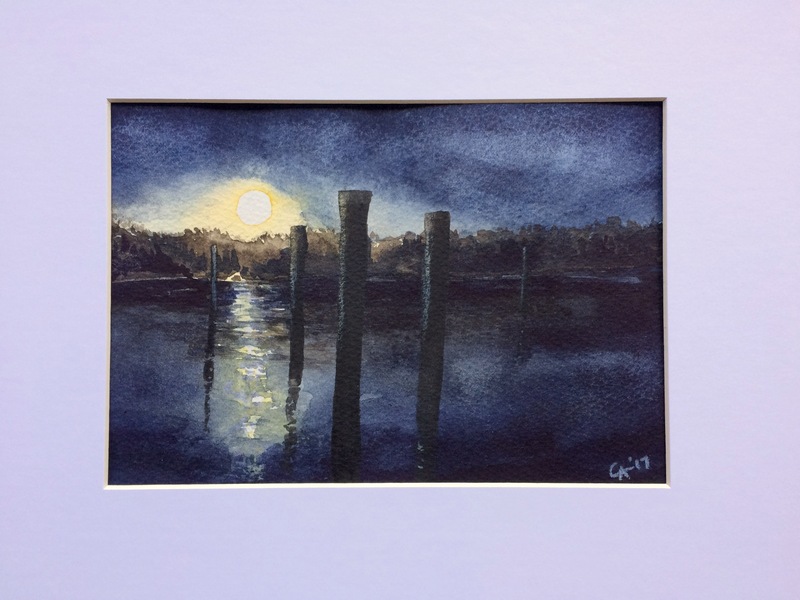 This image is from late last summer when we were having dinner on the water in Annapolis. Just got around to painting it yesterday and today. Lemon yellow mixed with yellow ochre to get the sunlight. The rest is indigo and sepia. The highlights on the posts are white and yellow ochre dry brushed on. I will probably do this again with a different palette to get more subtly of light and color. Crossing the Potomac at Point of Rocks has roughly this view, buts it’s really hard to see properly while driving over a bridge that’s blocking the view. I like the island in the middle breaking up the light. 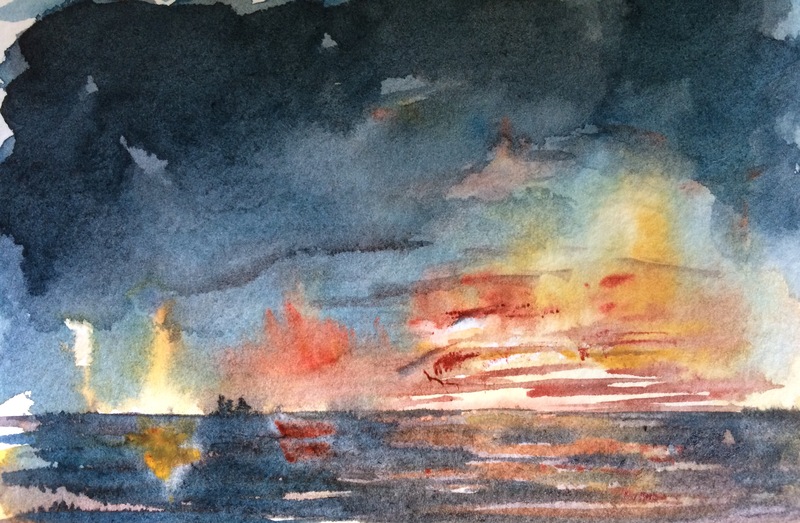 Messing around with an imaginary sunset thinking of Turner. Prussian blue, brown madder, and yellow ochre with a 3/8 inch sable flat brush in the 3×5 pentalic sketchbook. I was trying to see how more wet-in-wert painting would work on this paper. Not quite as good as on Fabriano artistico or arches, but certainly workable. Interesting sky from the other night. 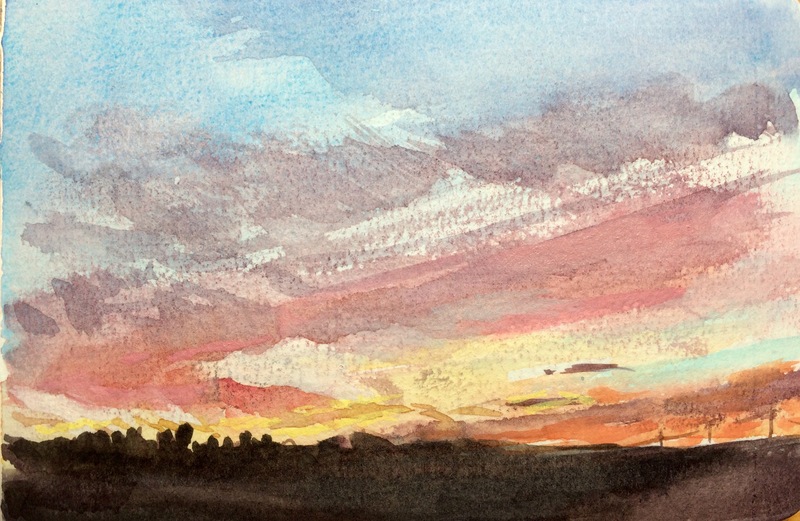 Not exactly a realist depiction, but I was attracted to the warm clouds against a muted blue sky and wanted to see how to get the feeling down on paper after the fact. 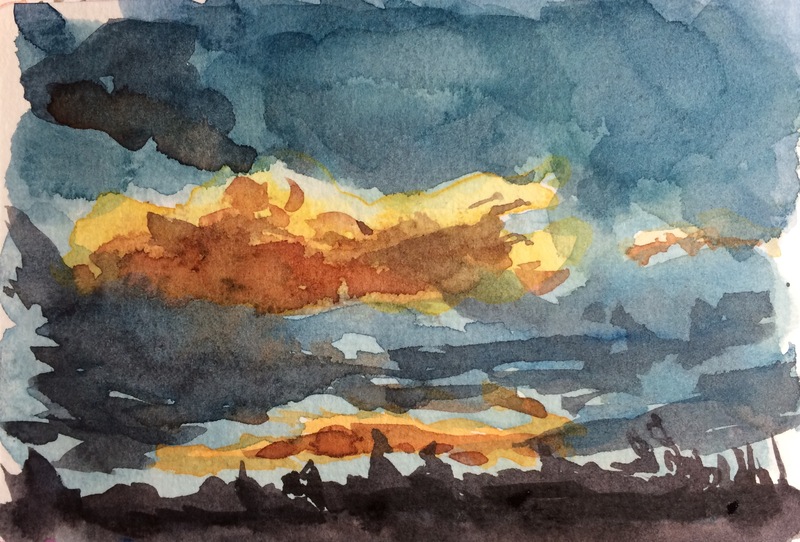 Prussian blue, nickel azo yellow, brown madder, and burnt sienna. 3×5 Pentalic watercolor sketchbook. 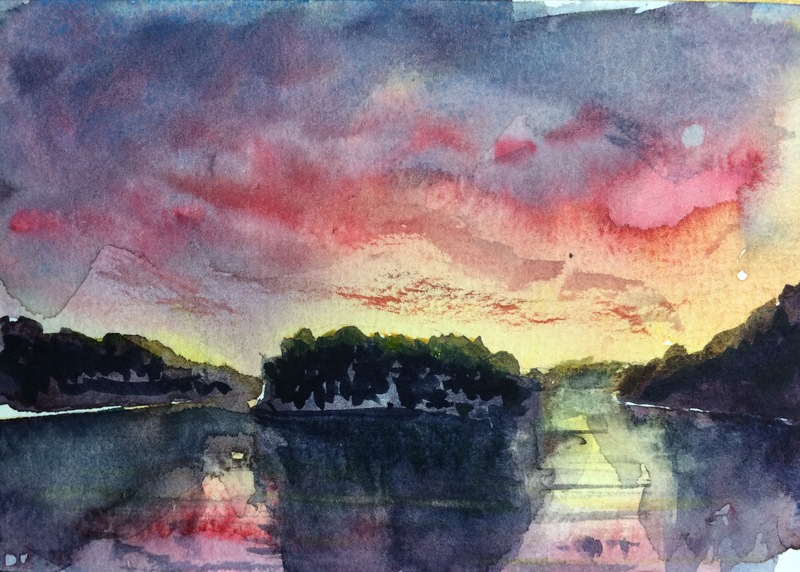 I had a pentalic 3×5 watercolor sketchbook laying around and decided to try a quick sunset study in it. I realized smudging with my fingers doesn’t work so well when the paper has texture. Much better in my Stillman and Birn gamma sketchbook, which is what I used for the earlier Constable study.